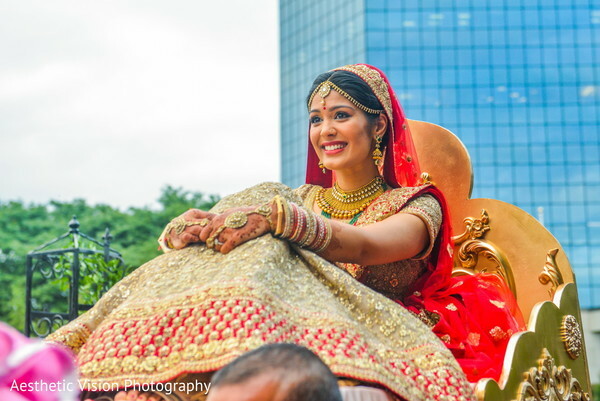 Here at Maharani Weddings we love outdoor Indian events. 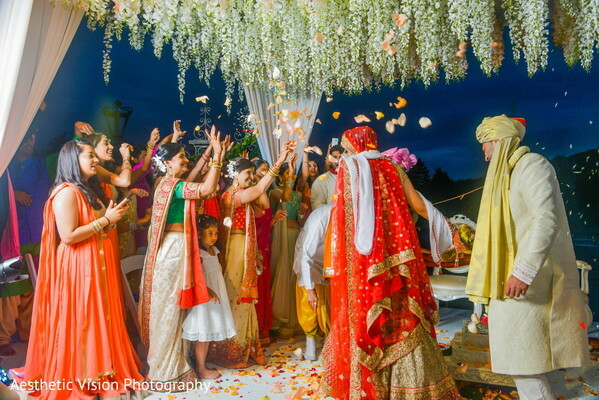 Especially when Elegant Affairs Inc. arrives bright and early to transform a venue into a magical dream come true. 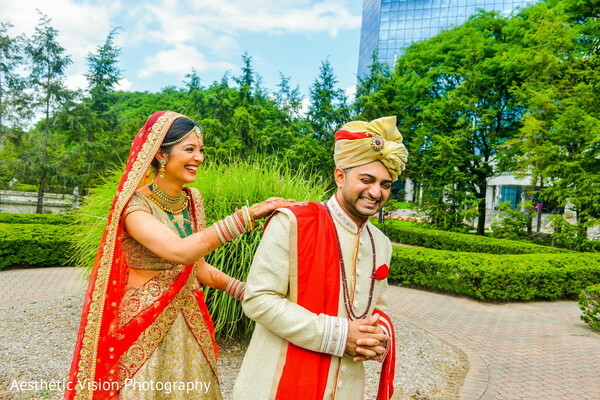 Maharani Pooja wed Sachin at the picturesque gardens of Sheraton Mahwah. 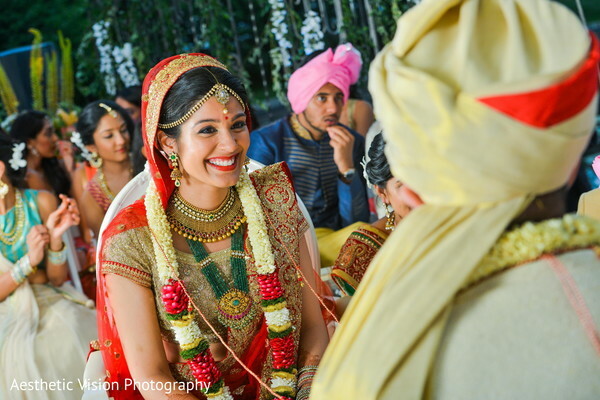 The bride was stunning on her own, but I loved the decor of the wedding ceremony just as much! A towering Ganesh statue sat gallantly on a large, inspirational reflection pool by candles and large blooms of floral. 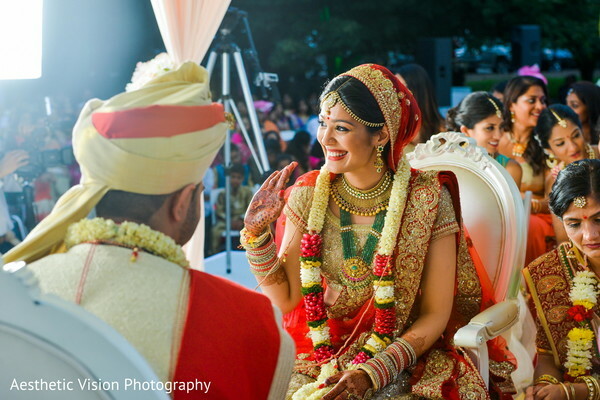 The mandap was a flora and fauna masterpiece! Adorned with flowers in shades of soft pastel this special add on brought a floweret ambiance to the outdoors. 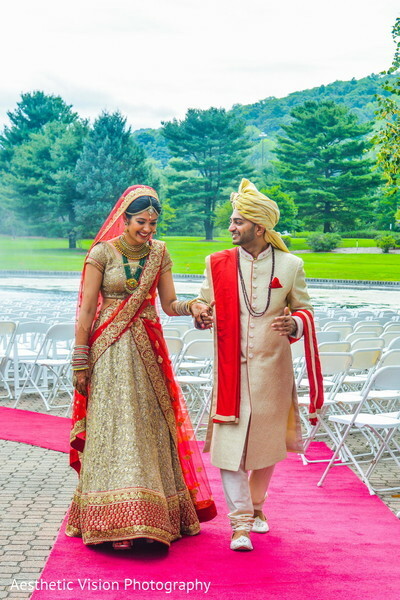 The backdrop of the stunning waterfalls brought forth a serene and elegant vibe to the ceremony. 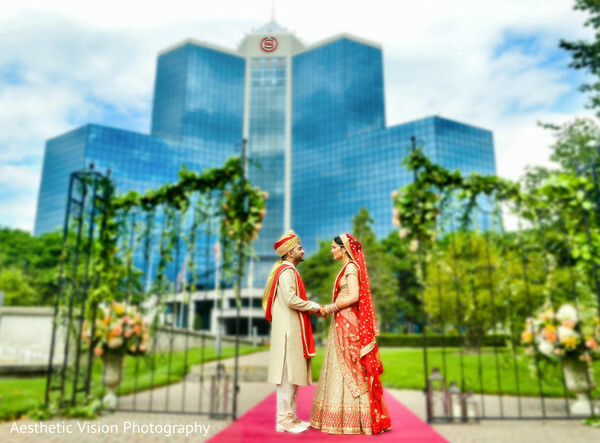 Bells N Rings Events created the perfect blueprint for this gorgeous wedding event! We have a lot more images captured by Aesthetic Vision awaiting in the gallery for your perusal. 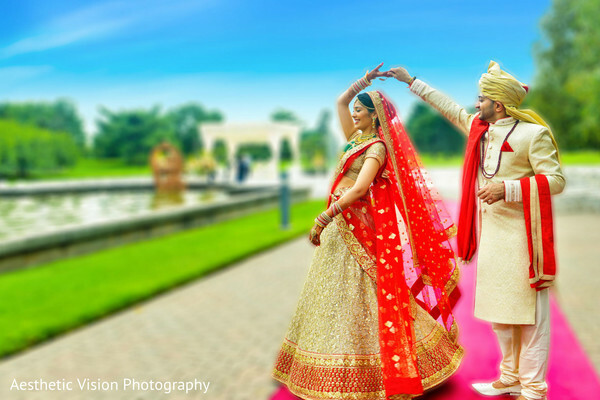 One last stop for the wedding reception with DJ Monu Singh on the turntables and DJ Raj Entertainment and Event Lighting firing up the dancefloor. See you right back!